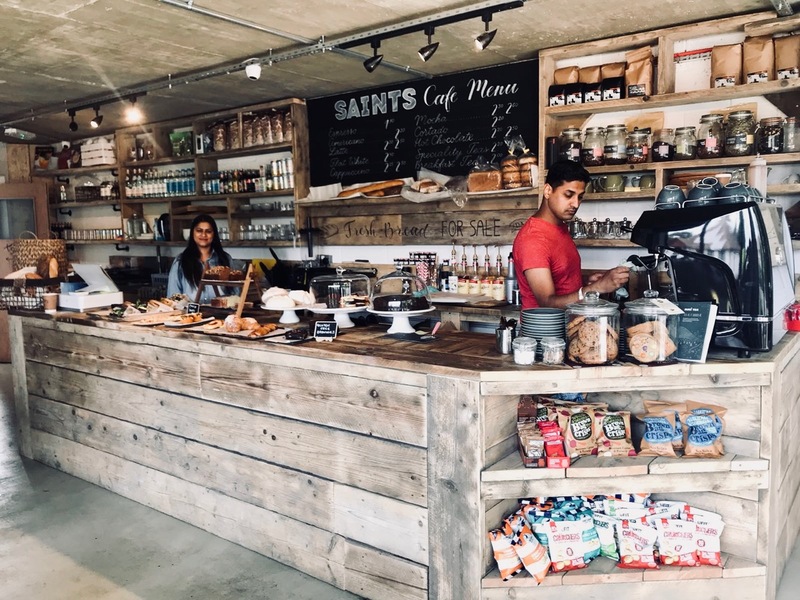 I had a coffee at the new Saints Cafe on St Marks Rd in Maidenhead earlier this week. It was good; very good. In fact it was the finest coffee I’ve had in Maidenhead in the 6+ years I’ve lived here. It’s no surprise really considering they use Marlow’s Coopers Trading Company coffee beans. Not only have they nailed the coffee situation, but Saints Cafe also provide a range of non-dairy milks including soy, oat, almond and coconut, they’ve got bread by The Bread Factory who supply many of the local Michelin-stared restaurants, and they’ve got home-made cakes (supplied by a local resident), as well as stocking and supporting a number of other local businesses, suppliers and makers from spreads and preserves to breadboards and artwork. Ranj Nagi and Sarbjeet Kaur are the co-owners of Saints Cafe. 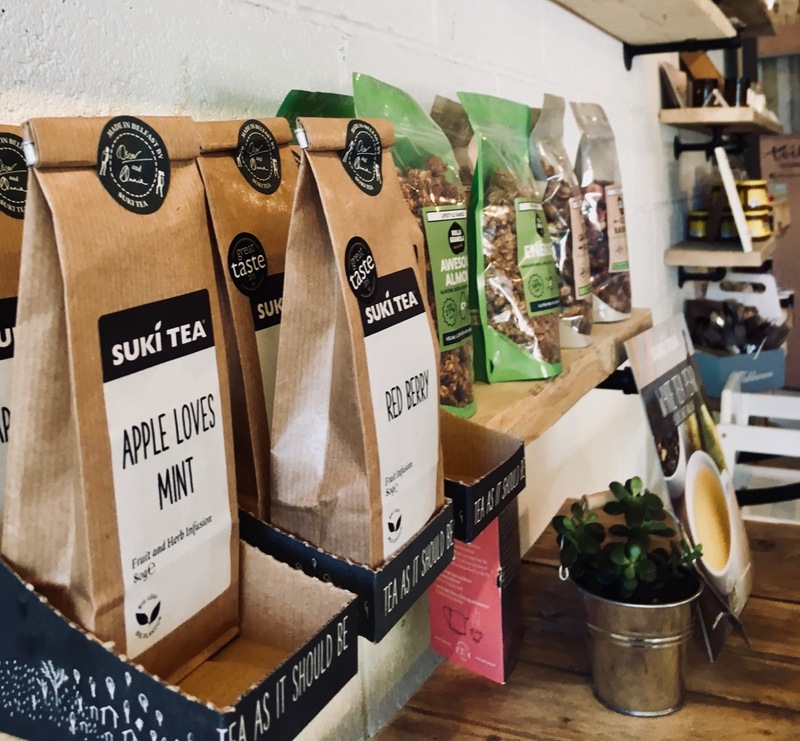 What was intended as a pop-up, has proved overwhelmingly successful with local residents and foot-traffic providing a constant stream of customers, grateful to be living near one what’s shaping up to be the best cafe in Maidenhead. Ranj has been actively supporting the local business and cultural community for years, being responsible for Eat on the High Street food market that ran successfully for 2 years and for the pop-up shops in Nicholson’s Centre. 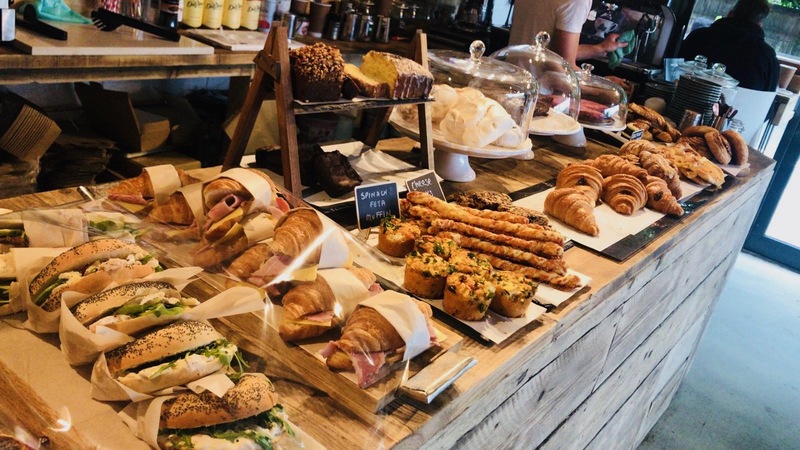 A business coach with a corporate career in London, Ranj could sense the growing demand for high quality food, coffee and venues in Maidenhead and to-date, her gambles have paid off. Ranj has become the centre of a community whirlwind of entrepreneurs, artisans, makers and suppliers – and I get the feeling she’s only just begun. With a private meeting room downstairs and spacious basement lounge, Saints Cafe looks set to become the site of supper clubs, networking hubs, artistic venues and community meeting spaces. Situated on the corner of Orchard Grove and St Marks Rd, you can usually find parks along the street. I’m yet to try the food, but it all looks very enticing, with a nice variety of pastries, baked goods, lunchtime treats and cakes. If nothing else, it’s worth going for the coffee alone, but don’t be shy to browse the shelves and ask about anything nice you see; chances are it was made by someone nearby.